The main reason for using the Internet to promote your business is to get noticed, to beat the competition and appear everywhere you need to. To be the best you need to think 20 steps ahead and if you rely on getting customers through online marketing it’s a must to invest in SEO. 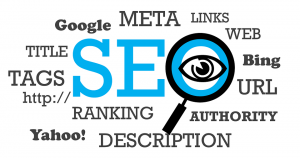 Basically, Search Engine Optimization is another (probably the only) way to appear at the top of the major search engines like Google, Yahoo and Bing. It combines few techniques that when done right, can rise your conversion rates and your sales flow. The main reason for this to exist is the foundation of how keywords work and how to apply the knowledge into practise, making sure you follow all the rules out there, because isn’t not that simple than you think it is. This doesn’t mean that writing randomly few keywords will boost your performance, actually the opposite, because SEO is combining keywords with other tools in order to achieve most quality performance, conversion rates and boos your sales. This can happen when you appear at the top of the engines when people search for your industry. Found Online was established to help people who wish their business to be more successful and rely on the online world to step up their game. Expertising in boosting the traffic reaching your website and rank higher in the main search engines, as well as helping you to get noticed online, Found Online is the perfect choice if you want to increase your SEO value. We will work aside with you, starting by extensively researching your industry and establishing strong keywords that people use when searching for a product close to yours. We will put your personal plan into action, making sure to generate the traffic to your website through rankings. Our way of working is slightly different than other competitors, because we prefer to have a multifaceted approach to your personal project, ensuring you most visibility in the engines. CRO or Conversion Rate Optimisation is what turns your visitors to customers – did something in the design turn them more optimistic about you or it was the content itself? Is the product you offer what they really need or there is something more to it? This will help you understand and improve your game in the online world. How does this thing really work? We basically monitor your visits so we can see how is your website interacting with the visitors. Was it responsive enough? Is the interface and design easy to use or did they clicked 5 times at the same place looking for something they can’t find. That’s right – we can see where they click! Using innovative mapping technology to see the exact dates and times your visitors entered the site and even better – we can follow their path and experience. Thus we can make more changes based on proven facts, not just because we feel like this is where the market is going. Also, we combine all of this above into a detailed weekly report so you are well informed on what is going on, why we made any changes and how are their affecting your performance. It’s not just moving titles and adjusting fonts that matter. If you haven’t decided on why to invest in Conversion Rate Optimization, the reason is this – help your business! You will not only benefit from this, but you will know how to make a visitor your client! Don’t miss out on the opportunity to grow and expand further than you thought! Found Online is the perfect choice for your online marketing development, because not only that we know how to operate with CRO softwares, but we offer you a combination of tailored services to completely fit your needs! Why choose Found Online? Our personal approach, our dedication and passion towards helping others is what drives us towards improvement and following the never ending changes is the online world. It’s a beautiful place out there, you just have to know how to see and deal with it. This is where we step in.